This design wall is HOT like the temperature outside. I finally decided to work on my border and was going to go with the design I posted on Sunday. And I didn’t want to do the math involved with the setting triangles for my blocks. So I made the black blocks slightly bigger than what I needed, eyeballing it! Which gave the most amazing stained glass look to my blocks, which I just adored! 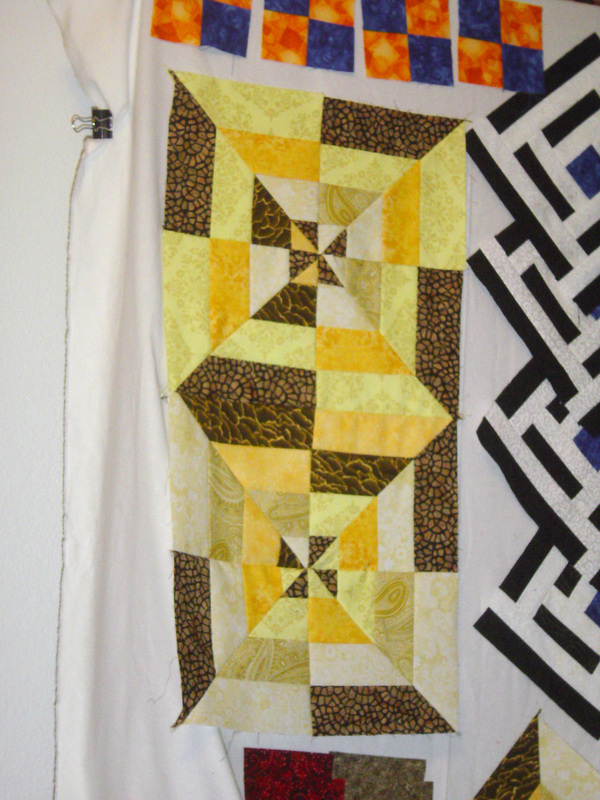 So I sewed the borders blocks together. I still have 10 more to go for the design but I’m making progress! And I’m just loving this so far! So I finally decided to put my specially purchased fabrics into EQ7, and here’s what I anticipate, is my final design! I made the corners into the design, wasn’t sure why I hadn’t already done this, to tell the truth. The only thing I might do from here would be to add another black border on the outside edge. 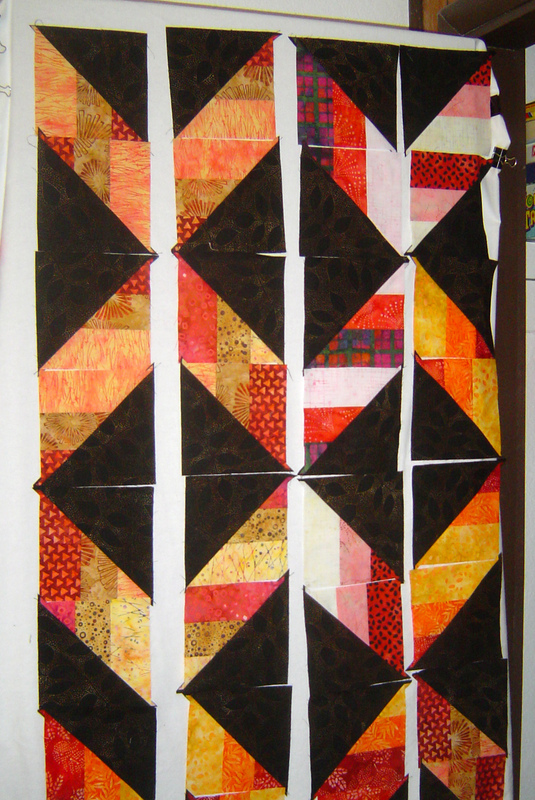 Now I have to go calculate my fabric strips, finish up the border blocks, start on the sashing and the cornerstones, and the stripped borders. Feeling pretty good about it, and feeling pretty hot! Who needs a design wall when you have a ‘design sewing machine’? 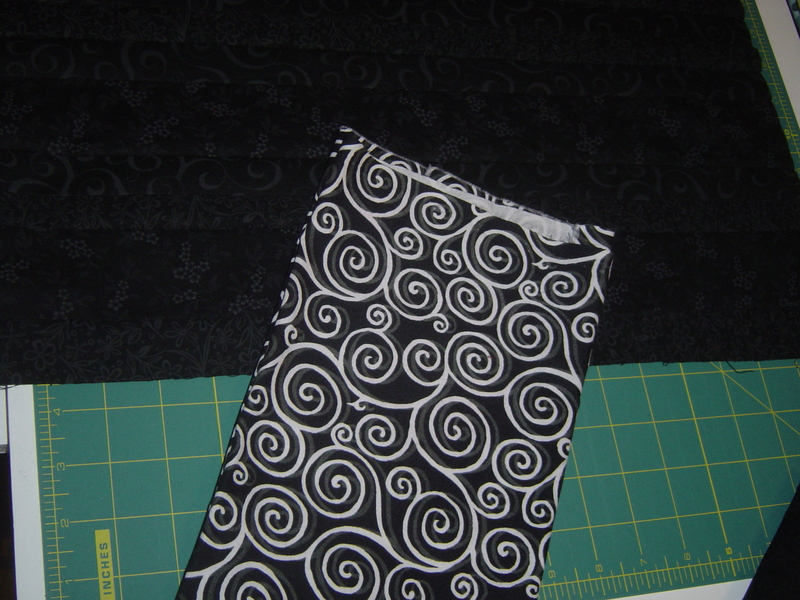 It’s easier to picture how this project will work when draped on the sewing machine. Maybe this fabric? Not sure, large pattern could be lost in the small letters. And still have to transfer the letters to fusible – I’m not hand stitching those letters I don’t think. 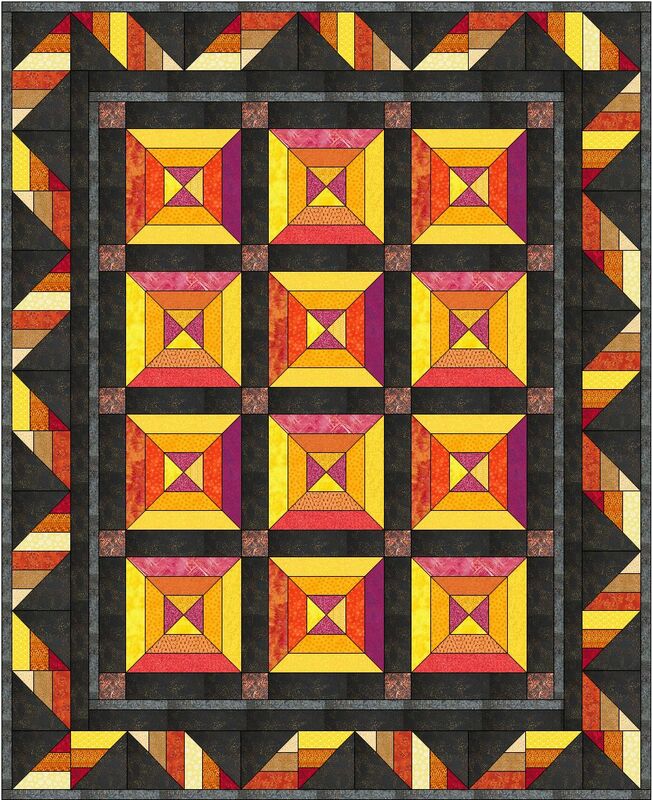 I could always “not applique” and just machine quilt, but I think I’d rather have a section of color (something other than just black) there. I also had planned on the lithium going front and back, but now I am wondering if I could dilithium both in front. Probably best to be in the back as originally planned. For the inside, I am thinking some of the leftover burgundy fabric I have. 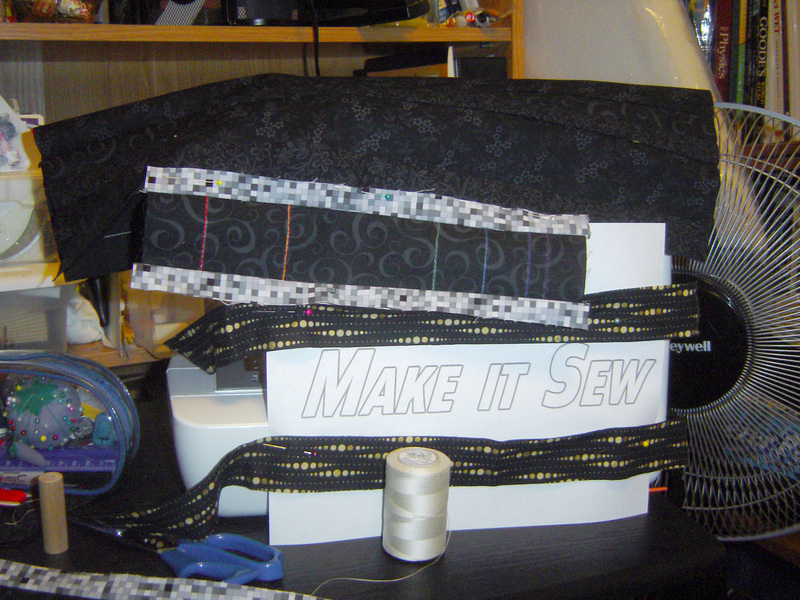 You can’t see it, but the black on the top of the machine is several long strips of black-on-black fabric. Don’t know why, but that it is. Have more of this black on black that could be used as a background if it doesn’t get used on this project. If you want to see the design ‘wall’ (for those purists out there), here it is. Can’t wait to get back and work on this, but for now, bedtime, then work, then going out tomorrow afternoon, then the cycle continues again, but replace going out with playing Civilization. May be a few days.